WiMob 2012 will be held at Casa Convalescència. 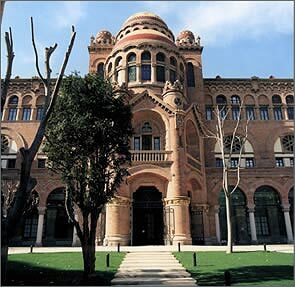 The building is one of the great works of Catalan Modernism, and was declared Historical Artistic Monument in 1978 and World Cultural Heritage Site by UNESCO in 1997. There are many hotels in Barcelona. The conference venue is well connected by metro. A pre-reservation for WIMOB has been done in the following hotels. Please use this form to reserve a room in these hotels.